Dominican Republic/ Haiti, Spencer D. and Rajon M.
The Dominican Republic and Haiti are the two countries that share the island of Hispaniola with one another and, despite not having their inevitable collapse as of yet, each country has their issues that are pointing to a collapse coming soon. The Dominican Republic makes up the eastern two-thirds of the island and contains many rivers and areas of fertile ground, which is part of the reason why it has survived ever since it gained independence from Spain in 1844. It also does not get the blunt of the power of hurricanes whenever the island gets struck by any, which also ties into how they were able to progress further through time and advance with the times without having any serious setbacks. Haiti, on the other hand, has not had that luck. 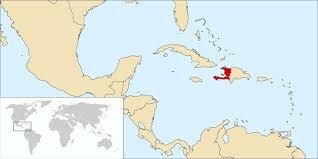 It makes up the remaining western portion of Hispaniola and its land is roughly two-thirds mountainous, while the remaining portion of it is made of large valleys and plateaus. As mentioned before, Hispaniola was often struck by hurricanes due to it being in the Caribbean, but Haiti usually receives the blunt of the hurricanes' devastating power. For example, in September of 2004, Haiti was hit hard by Hurricane Jeanne, taking the lives of over 2400 people and the infrastructure of the country being left in ruins. This led to widespread crime and lack of government control in the country, which could be a factor in the country's potential downfall when hit by future hurricanes. Haiti has always had structural issues with its infrastructure on account of being hammered by frequent hurricanes; a more recent catastrophe has left the country in turmoil however. In January of 2010, the country was struck by a 7.0 earthquake that was 10 miles southwest of the country's capital. Many structures, including government establishments and slums, were destroyed, leading many other countries, including the Dominican Republic, to send it financial aid to help the country become economically and structurally stable. As of right now, it is the poorest country in the Western Hemisphere and, being so, will lead to its downfall because it will become dependent on other countries. Unfortunately for Haiti, it already has and many of the countries that have sent it aid have ceased. The Dominican Republic has had the fortune of not experiencing such disasters in that it does not get affected all too harshly by hurricanes, nor does it worry all too much about economic issues. Ever since 2006, the Dominican Republic's economy has been in an upturn, which has aided in its survival because it does not have to be as dependent on other countries for financial aid as its neighbor. With a stable economy, the country also has a stable infrastructure because it is able to advance itself with the times in order to combat future disasters that may take place, like the earthquake that devastated Haiti in 2010. 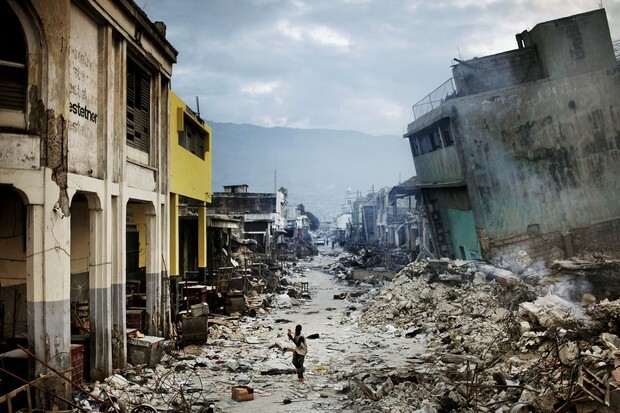 Despite the two countries having issues for the majority of their independent histories, the Dominican Republic was one of the first countries to send in financial aid to Haiti following the 2010 earthquake. The country also sent food and other supplies to help Haiti out of its rut; however, in 2011, the people in the Dominican Republic began to protest Haitians being in the country and the aid being given to Haiti due to impatience with the country's slow recovery and the death of over 90 people in the Dominican Republic due to cholera. Eventually, the Dominican Republic began revoking the citizenship of many refugees and created a new policy in which Dominican-born male's cannot successfully request a birth certificate to go to the United States, affecting 200,000 Dominicans with Haitian ancestry. 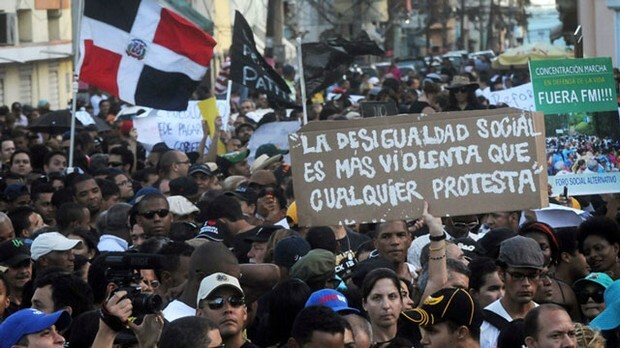 Other than this issue, the Dominican Republic has had few political and social issues, giving the country a relatively successful and stable future. Haiti, on the other hand, has had their political and social issues, including controversy surrounding their 2010 presidential election. With issues in political and social aspects of the Haiti, it may seem on the brink of its own collapse. Unless it is able to make a comeback from its economic rut, it may not have a stable and successful future. Central Intelligence Agency. Central Intelligence Agency, n.d. Web. 26 Feb. 2014. This source is reliable and passes the C.R.A.P test standards. Collins. "USC Dana and David Dornsife College of Letters, Arts & Sciences." Caribbean Collapses. University of South Caroline, 2 June 2013. Web. 27 Feb. 2014. Diamond, Jared M. Collapse: How Societies Choose to Fail or Succeed. New York: Viking, 2005. Print. "Dominican Republic." : Maps, History, Geography, Government, Culture, Facts, Guide & Travel/Holidays/Cities. Pearson Education, 2012. Web. 26 Feb. 2014. "Haiti." : Maps, History, Geography, Government, Culture, Facts, Guide & Travel/Holidays/Cities. Pearson Education, 2012. Web. 28 Feb. 2014. Lang, Steve. "Tropical Storm Olga : Natural Hazards." Tropical Storm Olga : Natural Hazards. NASA, 13 Dec. 2007. Web. 27 Feb. 2014.